The extremely low nutrient-status of various recently afforested moor soils, particularly Yorkshire (England)Calluna soils, raised the question of their ability to provide the possible nutrient-demands of continuous forest growth. This paper describes how, for calcium, potassium and phosphorus, uptake estimates have been calculated from existing nutrient-composition data, and discusses the silvicultural significance of such estimates, particularly in relation to nutrient-poor soils. All existing nutrient-composition data for whole individual mature temperate forest trees are summarized: using yield-data and a method of calculation critically discussed, they are made to provide nutrient-uptake estimates for one acre of such forest after periods of 50 and 100 years' growth. Mean estimates representing “hardwood,” “other conifer” and “pine” forest are then calculated showing: — the nutrients removed from the site via the various components of the timber-thinnings and clear-fellings, the nutrients taken up and immobilized within the various component organs of the growing forest, and the total nutrient-uptake from the site. The estimates show that timber exploited forest, by reason of its unavoidable continuous nutrient-removal from the site, differs fundamentally from unexploited virgin forest; in absolute terms this removal may be small, but its pedological and silvicultural importance upon any particular site, depends entirely upon the ability of the soil to replenish this loss. It is believed that up to now the failure to recognize this nutrient-removal upon nutrient-poor soils has diverted attention from an important factor initiating both soil-degradation and diminishing site-productivity. 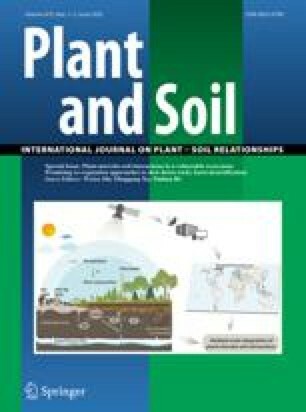 Soil nutrient-data presented show that the nutrient-uptakes of timber-producing forest of either confierous or hardwood species are so large compared with the nutrient-contents of moor soils that further overall soil-degradation and, sooner or later, diminished site-productivity are inevitable. Upon such soils, therefore, continuous timber production cannot be sustained by ploughing or by the growth of hardwoods alone; new silvicultural techniques are needed which can restore to the site, by means of suitable soil-ameliorants and methods yet to be evolved, the nutrients continually being removed via the timber. The paucity of knowledge concerning both the nutrient-demands of common tree species and the nutrient-status of the nutrient-poor soils upon which they are being extensively planted calls for an expansion of research upon these aspects if timber-production in this country is to be placed on a scientific, and not speculative, basis.